One of the reasons why Seville is such a gorgeous city is undoubtedly the presence of the orange trees. These lovely trees line most of its streets and shade many of its parks not only in the centre but also in the suburban areas. 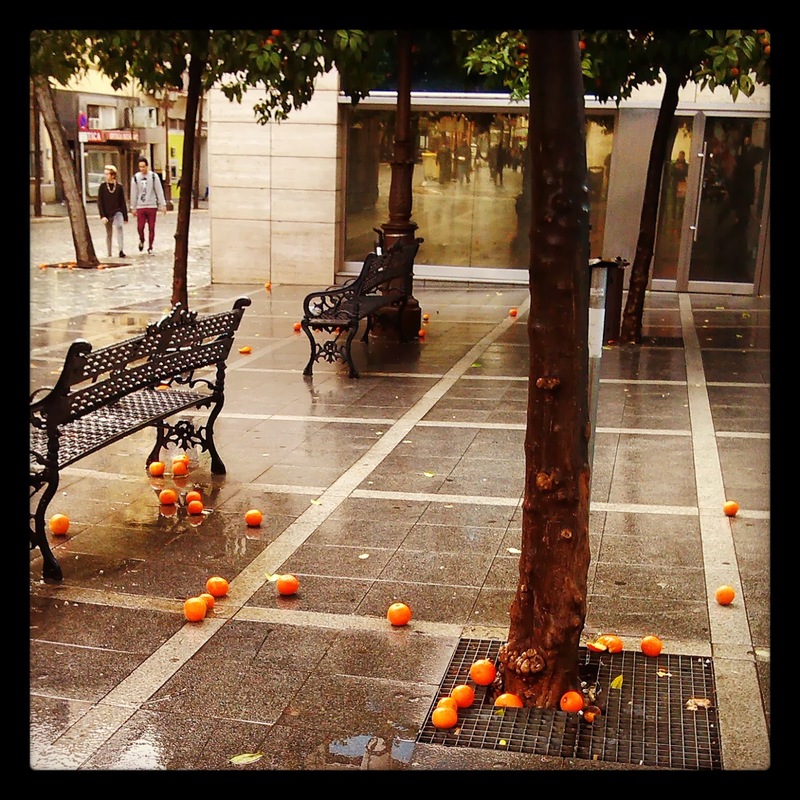 All throughout winter they keep their bright fruit (well, I'm talking about Andalucian winter here) and even on rainy days the sight of these orange balls lift our spirits. Yes, we're living in a hot country where you just reach up and take an orange from the tree above you on the street! For me, as a Hungarian, oranges have always belonged to the ‘exotic fruit’ category. I remember when I was a child it was hard to come by them. I guess I was born after communism so after the borders opened such common things like fruit became available for the common people, too, but they were still expensive. This has changed during the years of course and nowadays it’s an everyday thing like an apple. This will probably explain the fact that in one of my first days in Seville I couldn’t help myself and I had to try to eat one. Well, a word of warning: don’t eat them. 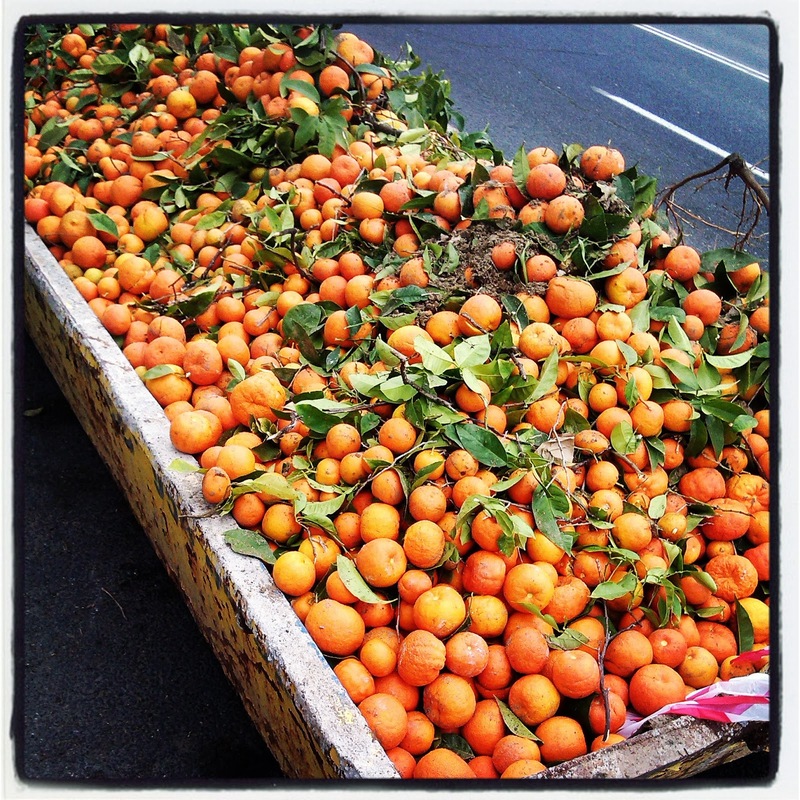 They are wild oranges and are on the streets for decoration, not for eating. Although this is pretty obvious I just couldn’t stop myself and ate the most bitter orange of my life! Oh, well. At least I learnt from my mistakes. 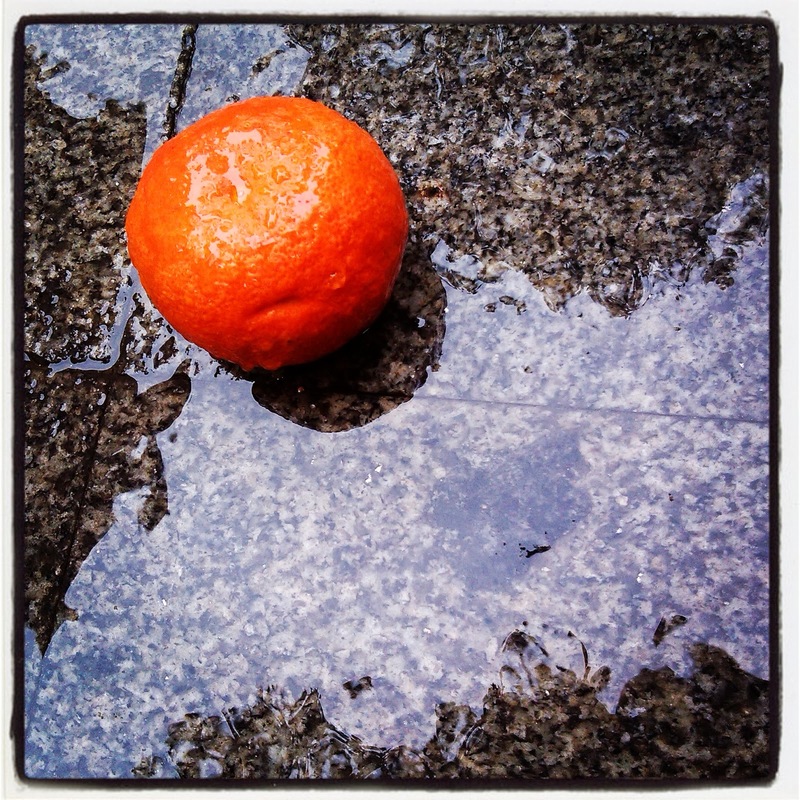 The time has come, however, when more and more fruit end up on the floor getting squashed by cars and people alike. It is not a pretty sight and the cleaners work hard to clean them off the road every day. 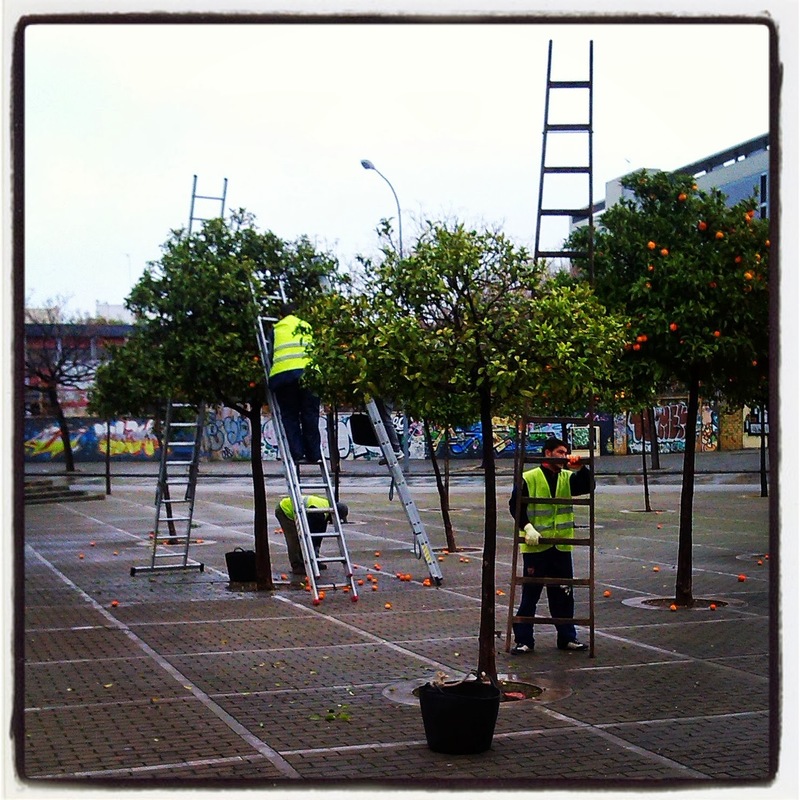 To make things easier we started to spot city workers whose job is to climb and collect all the fruit from the trees. Where are all these delicious looking (but evil-tasting) oranges will end up? Sorry to be the bearer of bad news, but here. The sight just breaks my heart.